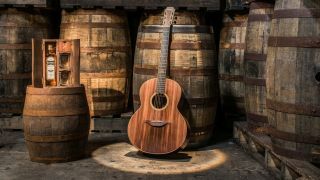 Drink it in: Lowden has unveiled a new acoustic guitar, built from whiskey barrels and ancient bog oak. A partnership with Bushmills Irish Whiskey, the 'Bushmills x Lowden' F-50 features whiskey barrel wood for the back, 12th fret inlays, the bindings, rosette and head facings; while ancient bog oak is used for the back and sides of the guitar; and sinker redwood for the soundboard. 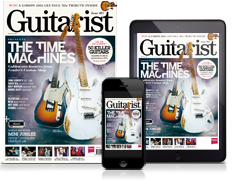 According to George Lowden, the ancient bog oak “offers a mellow, warm sound and when paired with sinker redwood on the soundboard, it helps extract a clarity and sparkle from each and every note the guitar produces”. Just eight of the guitars will be produced, clocking in at £8,500 apiece. For more info, head over to Lowden Guitars.